Tip the work-life balance scale in your favor. 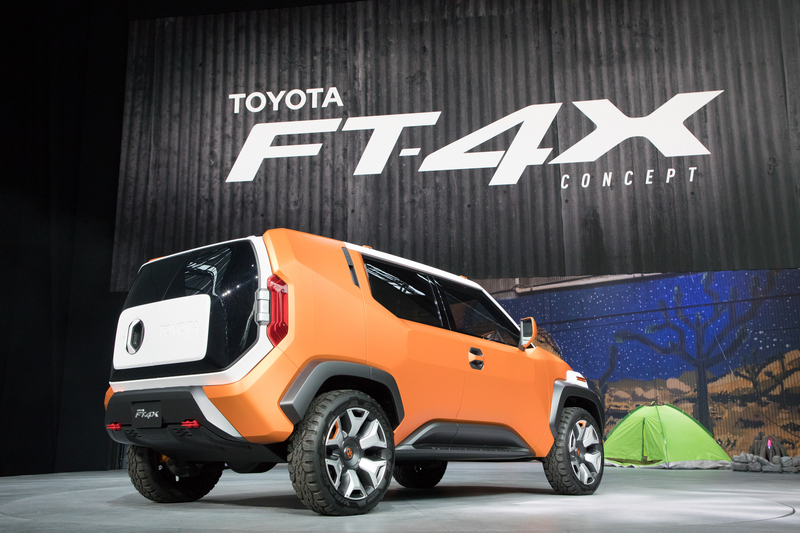 Introducing the revolutionary Toyota FT-4X Concept, designed by Toyota’s CALTY Design Research to answer the growing urge to escape. This 4-door 4WD crossover displays generous approach and departure angles that add to the Toyota FT-4X’s prowess on a variety of roads—paved or not. Wide overfenders and beefy tires add to the simplistic rugged exterior, while inside, it’s a toolbox for all your things. 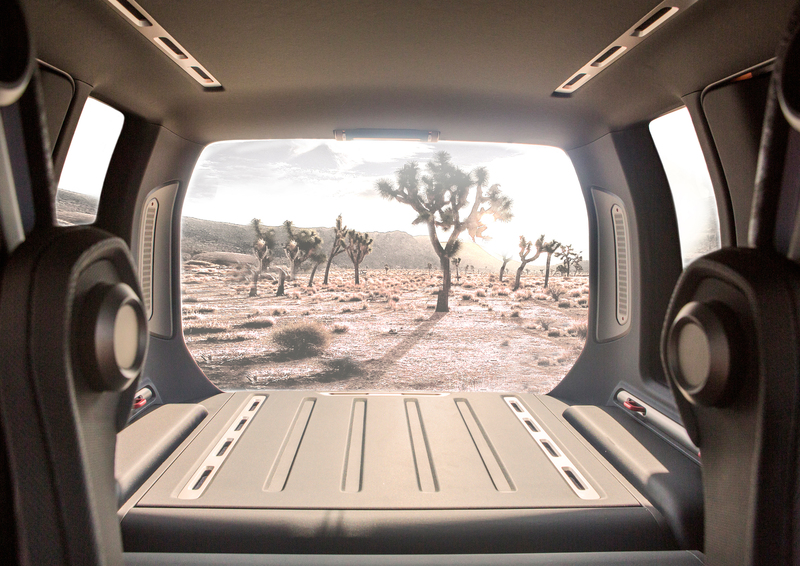 Fold the rear seats flat and secure cargo with topside tracks, slide out the rear cargo floor to reveal more storage, and access the Multi-Hatch rear door that splits to swing open or functions as a one-piece liftgate—whatever your getaway, it’s ready to take you there. A shift from multiday, extreme, high-effort excursions to brief, unplanned, casual adventures is an overwhelming reality for Generation Y. Millennials are fond of the outdoors but operate almost always indoors. They enjoy venturing into to new neighborhoods and national parks but hardly plan ahead. Their countless interactions on social media bring inspiration. It is the busyness of their nonstop daily lives that pushes them past the precipice of “liking” a digital snapshot into the realm of creating their own, in reality. Their adventures begin curbside, in a parking structure, or in the depths of an underground garage. Now, imagine another X, but this time horizontal, or flat, placed at the top and bottom of the vertical Xs. At each of the four corners of the bottom X is an 18-inch wheel wearing a custom 225/55R-18 Goodyear® All-Season tire. The FT-4X stands 63.9 inches tall, is 167.3 inches long and has a wheelbase of 103.9 inches. Its form emanates simple sturdiness front to back, top to bottom. It’s X Theme abound. Twin red hooks sit below the Multi-Hatch within the rear bumper. These high-visibility reflective pieces are secure anchor points for vehicle recovery and the tying down of loads if desired. Big item hauling is simplified with a reinforced flat roof, plus, a tie-down hoop placed at each of the roof’s corners. The extra utility is provided by power supply outlets set at the base of the tie down hoops. Users can power a variety of campsite electronics and lighting or roof rack accessories thanks to the convenient outlets. Generous approach and departure angles add to the FT-4X’s prowess on a variety of paved and unpaved paths. Wide black-painted over-fenders lend a tough look to the exterior and engulf the beefy Goodyear® rubber. 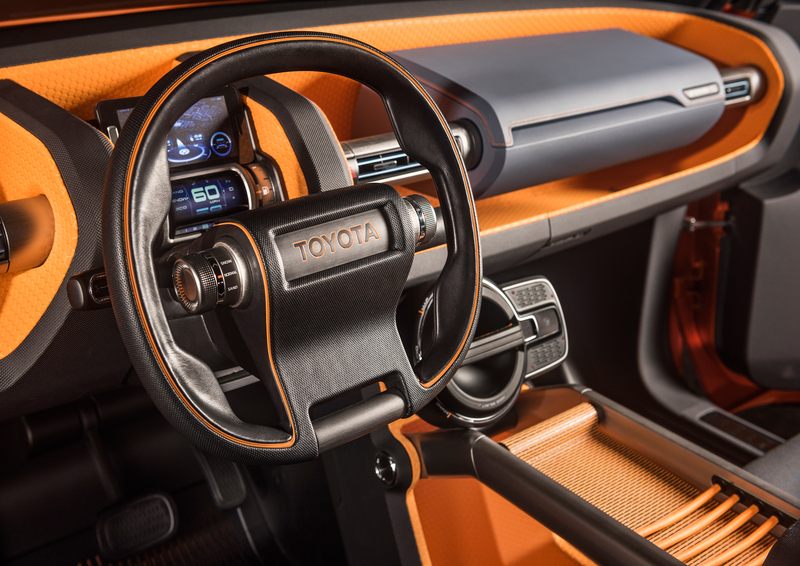 A vertical Picture Window set above the driver’s side rear fender pays homage to the classic version brandished by Toyota’s iconic Pickup Xtracab truck and first-generation 4Runner sport-utility vehicle. The window glass is removable and interchangeable, allowing for owners to personalize their FT-4X even further with multiple opaque colors or tinted glass options. The rear door handle is discretely placed fore of the vertical window and high above the beltline, much like it is on the current Toyota C-HR. Of course, the X Theme finds its way up front too. 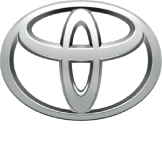 At the center of the nose’s vertical X is a classic, extra-large embossed TOYOTA logo that’s flanked by bright LED headlamps. Like the rear, reflective tie-down hooks set in the lower bumper add to the crossover’s looks and deftness. 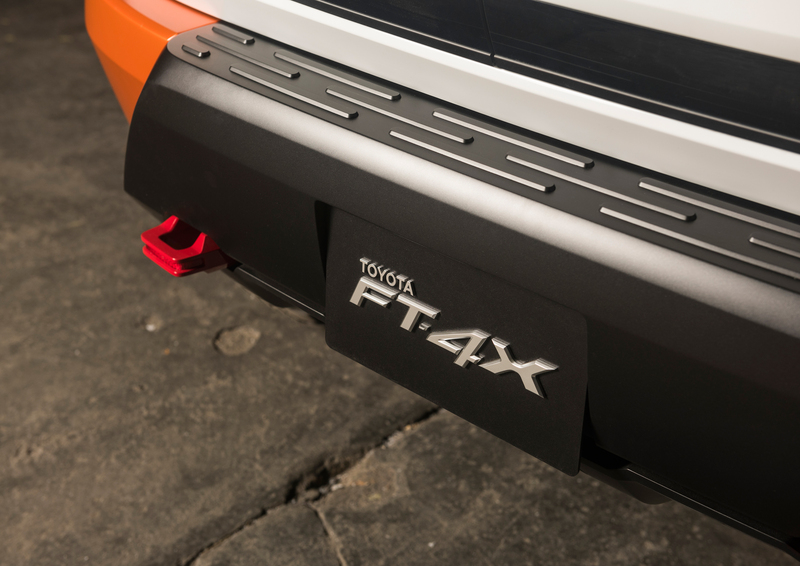 Another nod to classic FJ Land Cruisers and Pickup models of yesteryears: the recognizable horizontal orientation of the FT-4X’s grille, headlights, and bumper. Proceeding from work to play, indoors to outdoors, without advanced preparation can be a recipe for forgetting some essential equipment. No worries (as Gen Y-ers might say)! The FT-4X is a rolling gearbox. 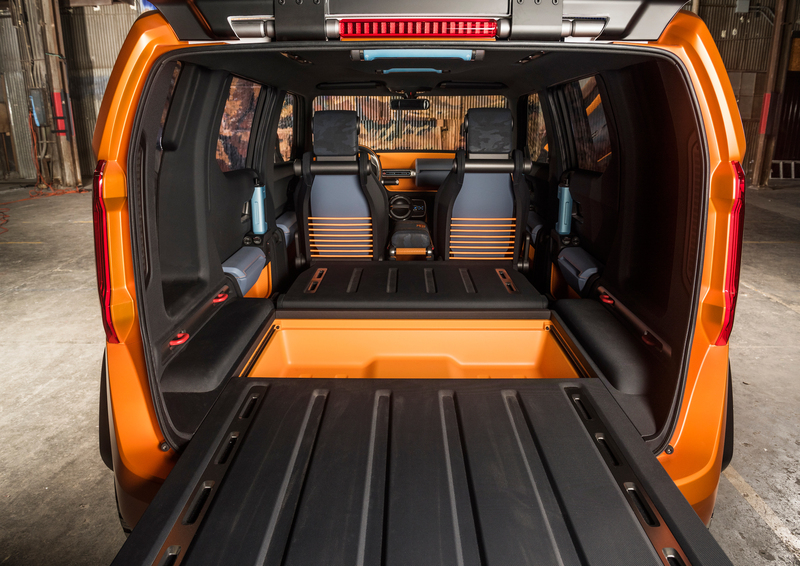 Not only is the interior’s concept that of a large open space having plenty of easily accessible storage for basic equipment, but it is basic equipment itself. Passengers can easily identify the space’s purpose based on coloring, as blue classifies closed storage, while orange indicates open storage. On the inside of the Multi-Hatch with rear Picture Window are twin boxes – one warm, the other cold. They’re designated for a number of functions, such as the temporary storage of snacks, or the warming and cooling of gear (i.e. gloves, blankets, ice packs, etc.). The Rear Cargo Zone’s floor lays completely flat and features topside tracks for securing cargo. A deep storage compartment is hidden underneath and can be accessed by sliding the floor out toward the Multi-Hatch, transforming the floor into a tray. Folding the second-row bench seat down extends the floor’s capacity considerably. Red tie-down hooks line the sides of the rear’s cargo hold, too, for added load securing. Above, in the headliner, resides removable inside lighting that doubles as a flashlight. Diving deeper into the cabin reveals more nifty elements. The rear door handles serve as impromptu water bottles. Its armrests have USB outlets and big, rotatable window switches. And, much like the rear’s ceiling-mounted removable flashlight, the dome light can serve as an exterior locator or beacon.An ultra-compact The North Face® sleeping bag fits neatly between front passenger seats, and functions as an armrest that is strapped atop an extra-large dividing console. The console can fold upward, revealing additional storage capacity for medium-sized gear. Its breathable, high-grip, hybrid mesh surface allows for wet items to dry quickly, and its bungee cord lattices keep small items in place. Front passenger doors receive identical large window switches and removable water bottle door grips as the rear, but gain blue storage boxes camouflaged as armrests. Posted in New Vehicles and tagged FJ Cruiser replacement, Toyota FJ Cruiser for Sale in Akron Ohio, Toyota FT 4X for Sale in Northeast Ohio, Toyota FT Cruiser, Toyota FT-4X for sale in Akron Ohio, Toyota ft-4x Release Date, Toyota’s CALTY Design, what does FT stands for in FT-4X?.